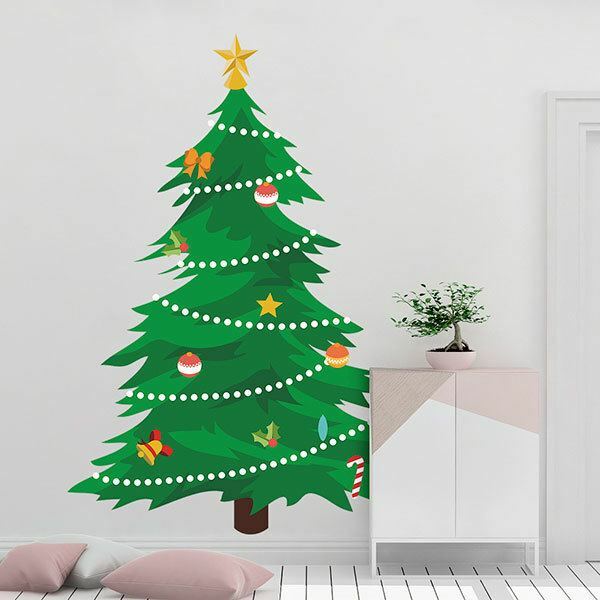 Kids wall sticker Christmas spruce. It is decorated in the purest Christmas style, with its star, garlands, balls, bows and other decorations. 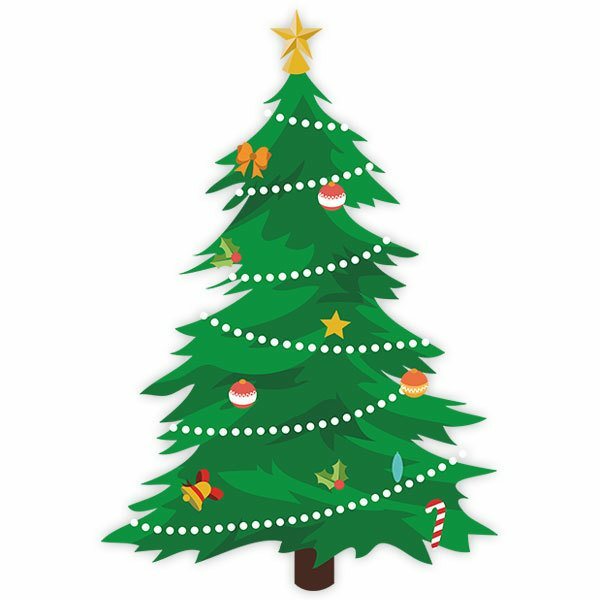 It is usually used as a Christmas tree with evergreen conifers such as fir. Decorate the living room or the entrance of the house with this vinyl. Size: 55 x 59 cm. 10.63 x 15.75 in. 13.39 x 19.69 in. 16.14 x 23.62 in. 18.90 x 27.56 in. 21.65 x 31.50 in. 24.41 x 35.43 in. 27.17 x 39.37 in. 29.53 x 43.31 in. 32.28 x 47.24 in. 35.04 x 51.18 in. 37.80 x 55.12 in. 40.55 x 59.06 in. 42.91 x 62.99 in. 45.67 x 66.93 in. 48.43 x 70.87 in.